This week started off with a bang! We celebrated our fourth of July in Dunwoody, Georgia right outside of Atlanta! 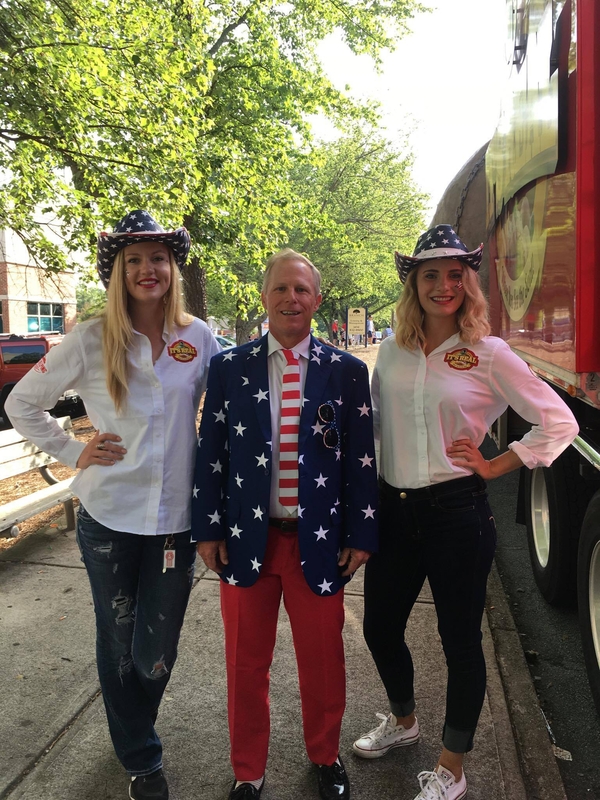 We participated in the annual Dunwoody Fourth of July parade. 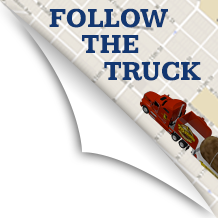 The parade route is two miles long and runs through the main residential street in town. It usually attracts over 30,000 people every year and the theme of the parade this year was “A small town in a big city”. When we arrived the night before in Dunwoody, you could see lawn chairs and tents lining the streets preparing for the parade! It did truly live up to it’s hype! On parade day before it even started, we took pictures with Dunwoody residents and even met a member of the city council. During, we waved our American flags and played music to pump up the crowd! The crowd at Dunwoody was truly one of a kind, and many people thanked us for coming back to Georgia! It was a blast, and after the parade we parked in the “family fun” zone for a few hours. 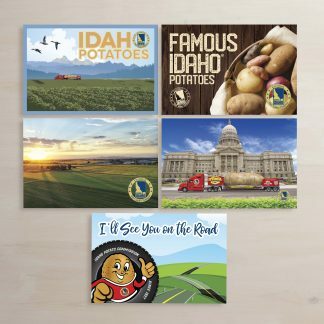 We gave out potato prizes, took photos, and chatted with the locals! We received such a warm welcome and I can’t wait to re-visit Dunwoody! The #taterteam ended the day watching fireworks and a laser show at Stone Mountain attraction park. It was definitely a fourth of July to remember! The #tatertwins with a member of the city council. The #taterteam enjoying the fourth of July parade! The next day, we had a day off in Dunwoody! While the other members of the team spent their day relaxing, I went and explored Atlanta! I ventured downtown and even visited the home and burial site of Martin Luther King Jr. I also saw the CNN headquarters and Centennial Park, which was built in honor of the 1996 Olympics. I had never been to the Atlanta area before, and was surprised at how nice the city was and how friendly the people were. I will definitely be visiting again, especially since I didn’t get to try any Georgia Peaches! After our Georgia stop, the next two days were spent driving to Oglesby, Illinois for Summer Fun Fest! The town of Oglesby consists of only 3,800 people, but they can sure put on a festival! 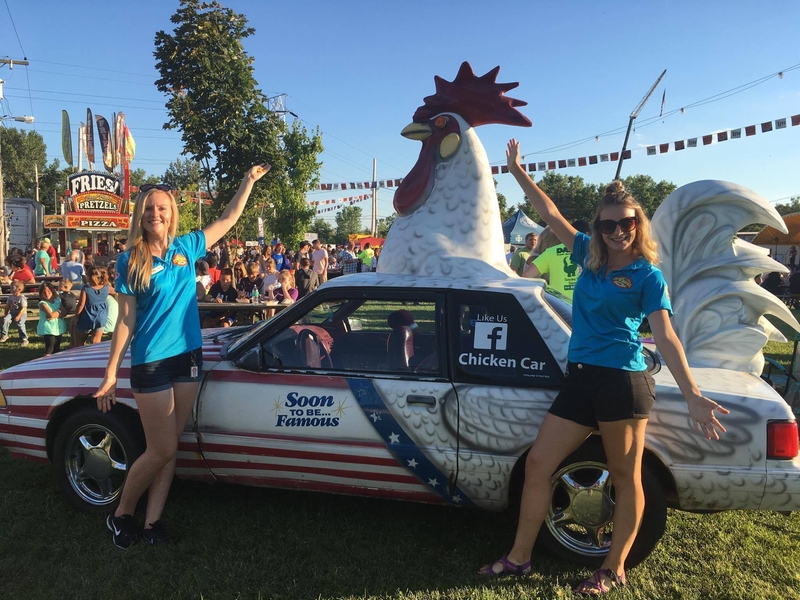 There was live music all day, food trucks, games, and even a #chickencar! 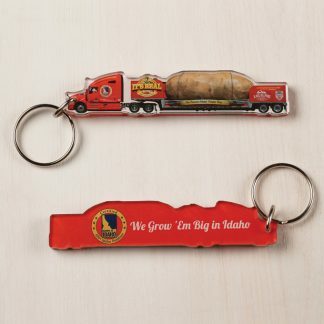 During the festival we took photos, gave away potato swag, and filmed our next upcoming video incorporating fans (stay tuned). We also got to sample some Idaho Potato french fries at a food truck right across from the Big Idaho Potato. They were delicious as always! The main acts later in the evening at the festival were Journey and KISS cover bands. We definitely didn’t complain since we were situated right next to the main stage. It was a fun time as always! 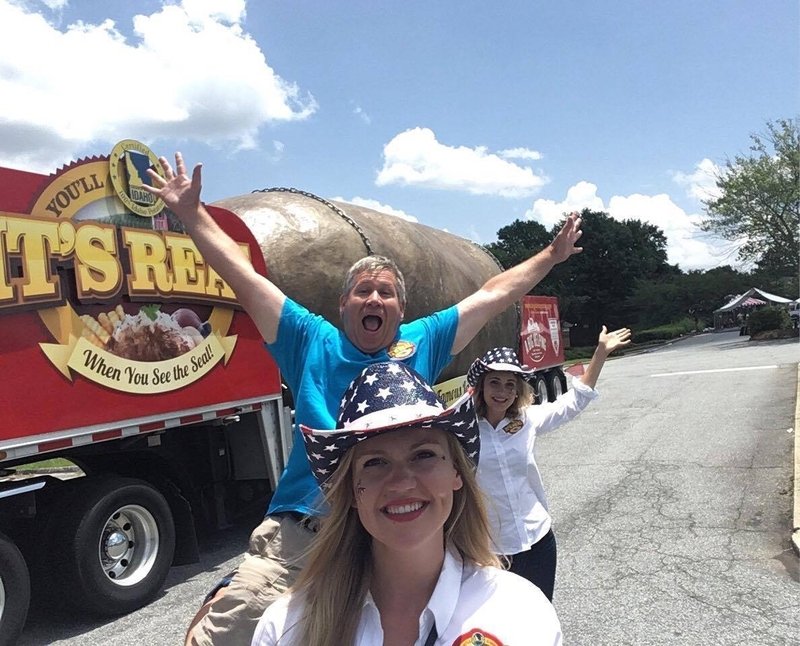 Nothing is boring when you’re promoting a #bigidahopotato with the best #taterteam out there! The #tatertwins with the “soon to be famous” #chickencar. 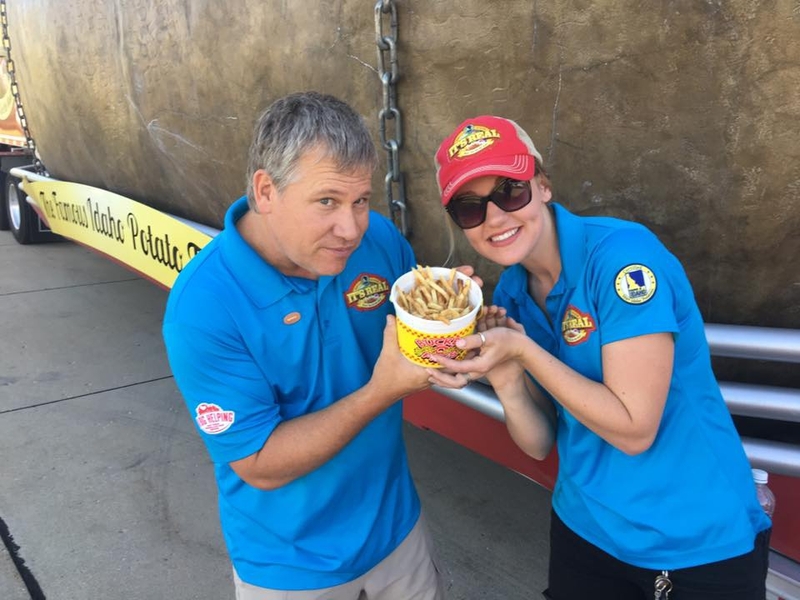 Kaylee #andLarry with a bucket of Idaho French fries! 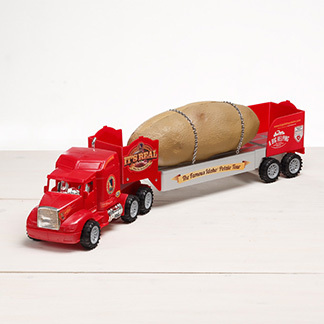 Our next stops will be Hartford, Connecticut for the Spudman Golf Tournament and Saratoga Springs, New York for the Potato Chip Festival! Stay tuned for more shenanigans and quirky facebook lives!